Sunday we visited Gateway Community Church and met the guest preacher, Vince Antonucci. It was a great way to kick off a laid back Father’s Day. So, guess what my husband wanted to do while in Austin? 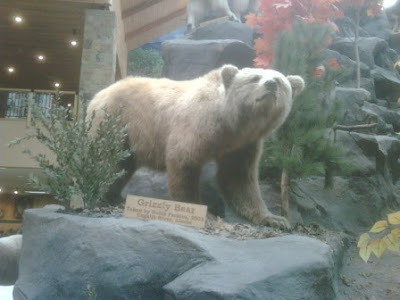 He wanted to go to the Graceland of Outdoor Manly Stuff – Cabela’s. I must admit. 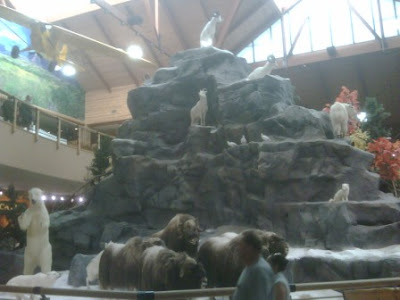 I’ve always been pretty impressed with the Bass Pro Shop near our house – boats, a huge fish tank, lots of dead animals stuffed and displayed everywhere. Plus, that place is huge! 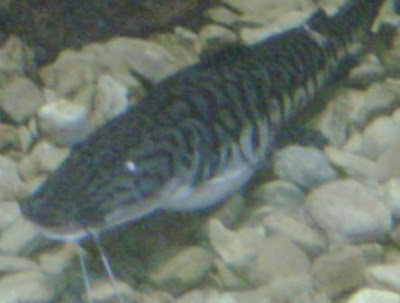 At least I THOUGHT it was huge. 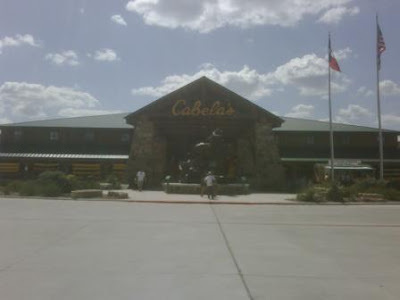 That was before I went to Cabela’s. 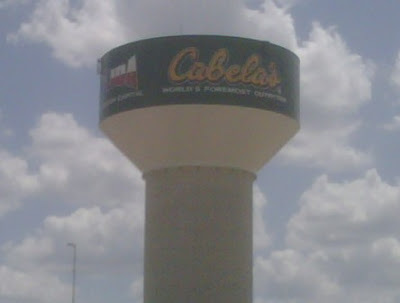 How many stores do you know that have their own water tank in the parking lot, hmmm? 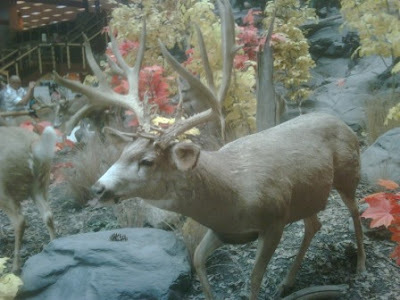 Bass Pro Shop is a skinny punk compared to Cabela’s. 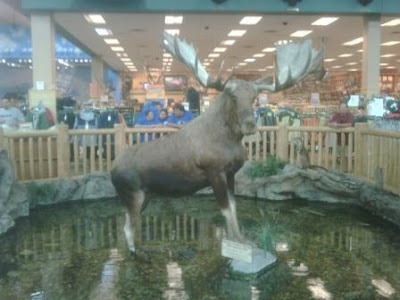 If Bass Pro Shop was lying on the beach, Cabela’s would come up, kick sand in his face and steal his girlfriend away. 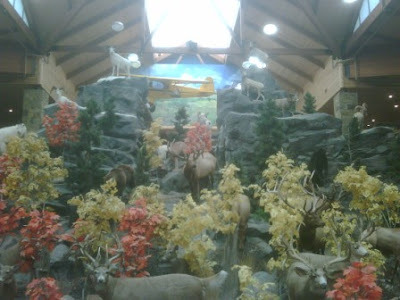 That’s how much better Cabela’s is than Bass Pro Shop. Um…yeah. That’s an airplane up there, and there’s every kind of game animal you can imagine in that place, and they are everywhere! Polar bear? Check. Buffalo? Check. So, what did you do last weekend?